Blessed is She . . . Really? Do you notice that the times “Why God?” forms in our hearts and dances in our brains are most often the times when we are not thrilled with the path life might be taking at the moment? 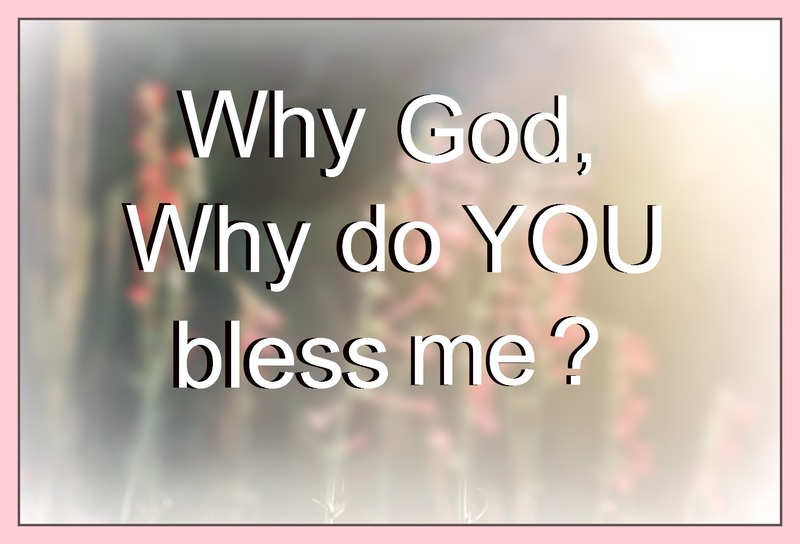 If you and I were to glance back over our shoulders at the last blessing we noticed, would we find the “Why God?” poised in our souls or on the tip of our tongues? I chose the word “noticed” in conjunction with blessing because I truly believe that His good works are our constant companions. And I take Him at His Word when He says that He came to give us life, not a less-than, grit your teeth, hang on by your fingernail kind of life, no Sweet One our Savior blesses with life to the FULL . . . The blessing of HIM literally lives in everyone who has called on the Name of Jesus Christ and Girlfriend, you just can’t get any “fuller” than that. Whether we have eyes that desire to see the good gifts or hearts that ache to acknowledge the blessing, is a different question all together. When was the last occasion we just shook our heads in wonder that the God of the universe would stoop down from heaven specifically for us? To show such kindness toward us? To dote on us the way He does? To flat out declare His heart for us in real and tangible ways? The last post I wrote about the idea of being “forgiven much” and I asked you to consider that the concept of being forgiven much or being forgiven little—originates in the mind of man – not in the mind of God. It’s a human perspective based on the human penchant to size things up according to our own standards. We crawl up on the throne of our lives, look around us, measure life, and then we decide – we make ourselves the judges. And it seems to me, that this inclination to view life from a temporal, human vantage point invades all of our thinking – including our perception of blessings. There are songs written about the “blessings in disguise” and “the picture we can’t see” that really bring home the notion, and dare I say the truth, that blessings often don’t look the way our human minds think they should and they certainly do not feel to our hearts the way we expect them to. We want our blessings to behave! And might it be, we want our God to behave as well? This particular thing is a blessing because it turned out how I wanted it to turn out. That particular thing has a beautiful red bow on it—it looks exactly like I think a blessing should look. Everything unfolded just the way I wanted it to and it feels sweet to my soul –what a blessing! I look. I measure. I judge. Either forgetting or ignoring that my God has a view from outside space and time that I couldn’t comprehend even if I could see it. Either forgetting or ignoring that my God, in His Sovereignty, thinks with a heart and mind that I can’t fathom. I forget and I ignore that my God cannot be unfaithful to His nature and I fail to remember that His nature is LOVE. And I look, I measure, I judge. It’s been a week on Biddinger Boulevard. 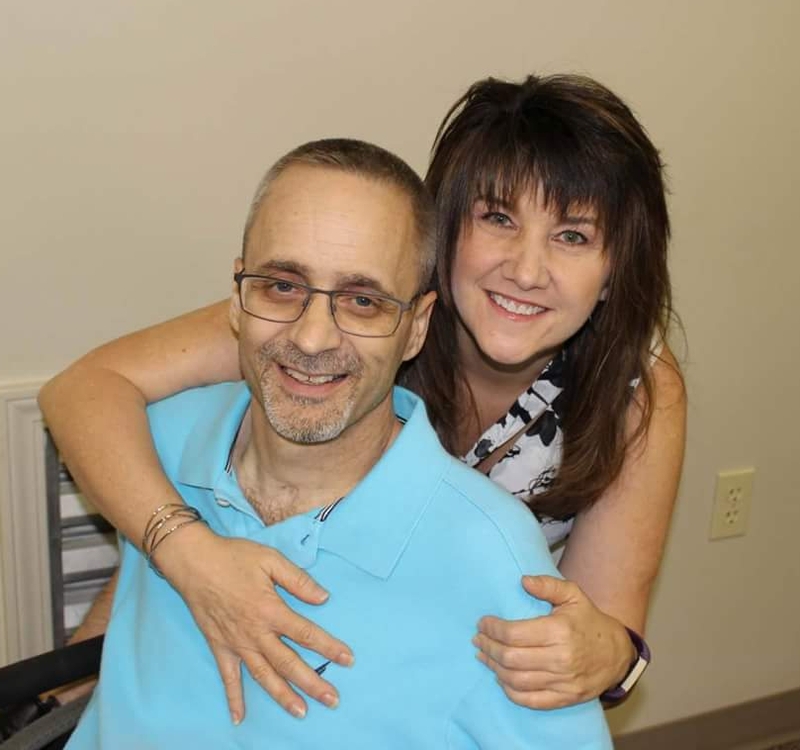 Brett’s wound, the one he has been struggling with since November 2012 – yes, 2012 – has taken another step backward. I was at the hospital this week for x-rays on the lung that collapsed because of pain and breathing issues. Britt is still enduring the side effects of the six month course of treatment for the endometriosis and I think wondering if the cure is worse than the disease. We watched good friends go through the agony of saying goodbye to a loved one. We sat with folks who cried over the choices of their children. Our souls were rocked when a family member rejected the truth of the Savior. I bet your week was similar. Life – messy life – was active all around you. It pressed in on every side and maybe it just didn’t wear the face of blessing you or I expected it to wear. Maybe the Apostle Paul was experiencing those same kind of feelings and trying to focus his eyes and his heart with some godly vision when he wrote 2 Corinthians 4:8-9 . . . He knew what the situation looked like to his human eyes but more importantly . . . .HE KNEW HIS GOD. He chose not to look, measure, and judge from his finite human mind. He surrendered his heart and his vision to the Heart and the Vision of the One He knew to be LOVE. Though outwardly we are wasting away, yet inwardly we are being renewed day by day. For our light and momentary troubles are achieving for us an eternal glory that far outweighs them all. So we fix our eyes not on what is seen, but on what is unseen, since what is seen is temporary, but what is unseen is eternal. The blessing did not wear the face he expected it to, but he looked past the face and into the Heart of the Great I AM. See the adjustment of his vision. See the surrender of his own limited heart. See him grab a hold of what he knows to be true, fall to his knees and declare that he trusts the One who holds eternity in His hand. And Girlfriend, the Heart of the Great I AM beats to bless you today. Lives to bless you today. Loves to bless you today. Sweet One, the I AM IS! 2 Samuel 22:17-18 . . . . He is the One who reaches into the deep waters and rescues you. Psalm 66:12 . . . . He is One who brings you through fire and water to the place of abundance. Psalm 116:7 . . . . He is the One who has been good to your soul. Hebrew 6:19 . . . . He is the One who anchors you firm and secure in any storm. 1 Peter 5:7 . . . . He is the One who wants your troubles because He cares for you. 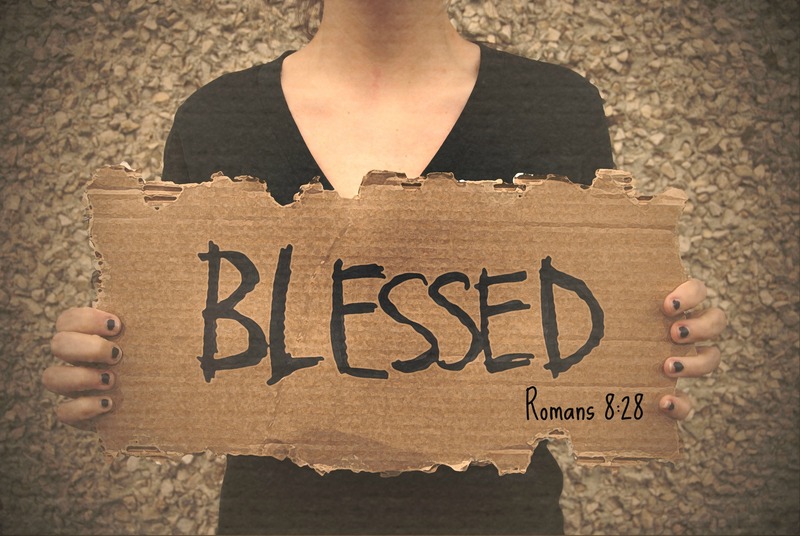 Romans 8:28 . . . . He is the One who works all things together for the good of those who love Him. Oh Beloved, the I AM is just IT! And blessed is she who believes that what the Lord has said to her – read that list again, verses from the Old and verses from the New—will be accomplished. Sweet One, it is done. You believe and you cling to every true and accurate word of God. The blessing has been given to you and He has come to make His home with you. Resist the temptation to look, measure and judge with your own eyes. Look past the face of your circumstance and trust the Heart that beats to bless you. Fix your eyes on Glory, lift your heart toward heaven and KNOW the Heart of the One who knows you. Oh, my dear, sweet Marilyn, I can’t find the words to accurately describe how beautiful this post was. It touched and echoed through the deepest parts of my heart! I NEEDED TO READ THIS! I did! It was as if you were writing my personal fears & joys or like God himself had given you that specific message for me – glory to God! God has given you a tremendous gift my dear friend. I am going to reblog this post. I think there are a lot of hurting, frustrated souls that need to read it too! Thank you for blessing me with this – God bless you. Miss Jennifer — I cannot thank you enough for your encouragement! Your words made my heart soar Sweet Friend. I felt awkward tweeting the link to you — not wanting to seem self promoting — but the Holy Spirit would not let me go. So, I so appreciate your sweet comments. Bless your heart! God has uses you to sing His good pleasure me time and time again. Thank you for following His lead. ♥ The pleasure is all mine – I didn’t think it was self promoting at all LOL, I was honored to be valued! Please feel free to do that anytime! I am grateful that you followed & obeyed the the promptings of the Spirit! I desperately needed to read your words (His Words) and I was in tears. Even more so now that you’ve confirmed the Spirit led you to share with me – I knew & felt it – GLORY TO GOD! Love & blessing over you and your family – I will keep you all in my prayers! 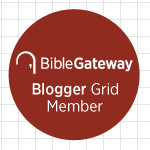 I’m sharing this indescribably wonderful, beautiful, Spirit-filled post from my dear friend and fellow Bible Gateway Blogger Grid member Marilyn. She has an amazing way with words and an inexplicable way of sharing the Lord’s love. I felt the FULL WEIGHT OF THIS MESSAGE and I pray you do too! God bless you all! I really like your take on ‘whoever has been forgiven much. I believe tat there are many times we sin without realising, it is only the proud who ignore this fact. It is partly why I find the sinless perfection doctrine such rubbish. I also like the statement about ‘wanting our blessings to behaviour’, and expecting God to behaviour. Often times he doesn’t do what we want. This post is so spot on Dear Wife, too often in the thick of things I tend to be focused on the now and not the “now to come”. When life on the Blvd started to get messy who’d have thought that Glimpsed Glory would have been born and His word would be going out to the four corners of the earth! I Love You and your obedience to your calling! Found this on Twitter, it’s well worth reading! Such an honest, light-giving post – who ever asks why we’ve received His blessing? If we are to abide in Him and follow Jesus, we must prepare ourselves to have faith in the not seen, the not understood and the Most Great God who never fits inside our ill-constructed box of human logic.